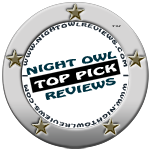 I’m at Bodice Ripper Novels and Magically Seductive Romance Today! Awesome!! I will be reading these books. Congratulations, my friend. You deserve all the best. 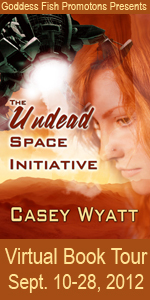 I read and reviewed The Undead Space Initiative and absolutely loved it. You have a talent for weaving a story that pulls the reader in. I couldn’t put your book down until I finished it. Good luck on your virtual book tour. I am so thrilled you enjoyed the book. And thanks for all the kind comments today.